A funeral service can be a formal or informal gathering or ceremony often held in a church, chapel or mosque depending on your culture, and is normally held prior to the burial or cremation. The funeral director will provide help with where to have funeral services, booking the venue and arranging refreshments following the service. We also prepare the flowers, music, guest register, celebrant or religious minister, coffin, mourning cars or limousines, right down to the finest details. The funeral brings a sense of closure to family and friends. Although your faith or culture may dictate some elements of funeral services, you may want to personalise other aspects of the service. Such as adding a DVD Photo Presentation, or Order of Service Booklets, you may even want a Dove Release. We will help you to truly personalise the funeral service, this includes eco funerals. We provide funeral services for all members of the community, and are professionals in all faith’s and religions. At a memorial or tribute funeral service, a casket is usually not present. Similar to a traditional funeral, a memorial service gives family and friends a time to come together in your loved ones memory and celebrate their life. Some families will choose to have their loved one either privately buried or cremated, and at a later stage hold a memorial service, having either a photo or the urn (containing your loved ones ashes) present at the time of the memorial service. As its name implies, a graveside service may be held at the grave site just prior to lowering of the casket or coffin, and usually consists of final remarks, prayers or memories. You may choose to hold a chapel service prior to the graveside service, or simply have a graveside service only. Held either the day/night before, or immediately prior to the funeral service in the church or chapel. The viewing or visitation – provides a way for family members, friends and acquaintances to pay respects, say their final goodbye and offer condolences to the family. At a funeral service, a casket or urn may or may not be present, though if it is, you may choose to have the coffin or casket open for a viewing prior to the funeral service. The casket is closed prior to the beginning of the service, unless for cultural reasons you request the casket to remain open. The viewing is generally a private affair, and guests are always informed that the casket is open if they would like to say goodbye. Guests that choose not to view, will remain in the foyer until the casket has been closed. 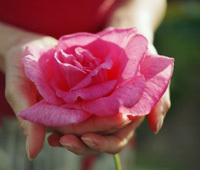 We are often approached by families who wish to talk about their options surrounding natural or eco friendly funerals. Lincoln Family Funerals can assist in providing this service to your family. We stock coffins and caskets that are made from recycled timber, 100% recycled cardboard, wicker coffins that are made from natural fibres, even 100% environmentally friendly burial shrouds. Our timber coffins used for natural funerals are made from sustainable plantation pine and we use recycled paper for any memorial stationary, If you are interested in a green funeral for yourself or your loved one, please don’t hesitate to contact Lincoln Family Funerals today on Ph: (03) 93330997.